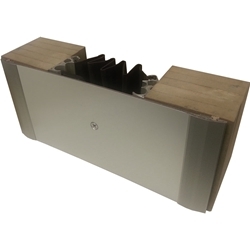 The seismic security exterior application provides an aluminum cover plate for security and includes a moisture barrier for added water and air protection. Use the table belo to guide specification of available options. The part numbers are indicated in BOLD ORANGE text.